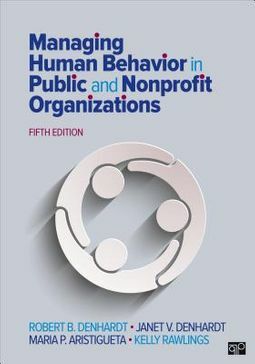 by Denhardt, Robert B./ Denhardt, Janet V./ Aristigueta, Maria P./ Rawlings, Kelly C.
Managing Human Behavior in Public and Nonprofit Organizations, Fifth Edition is an established core text designed to help you develop your leadership and management skills. Bestselling authors Denhardt, Denhardt, Aristigueta, and Rawlings cover important topics such as stress, decision-making, motivation, leadership, teams, communication, and change. 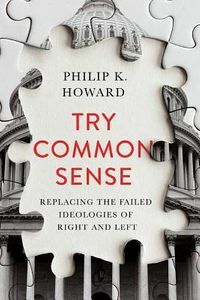 Cases, self-assessment exercises, and numerous examples provide you with the opportunity to apply concepts and theories discussed in the chapter. 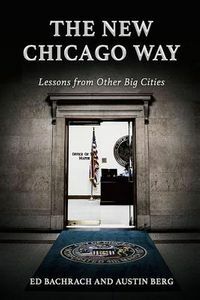 Focusing exclusively on organizational behavior in both public and nonprofit organizations, this text is a must-read for students in public administration programs. New to the Fifth Edition: Increased attention to issues related to nonprofit organizations helps you develop a better understanding of the differences and similarities in public and nonprofit organizations, as well as the way they interact with one another and with the private sector. Broadened coverage of issues related to ethics and diversity offers you a broader perspective on important issues to consider, such as the examination of implicit and explicit bias, generational differences, and power and privilege. Additional discussions of collaboration, inclusion, and participation, both within the organization and with external constituencies, show you the value rationale for engagement and its practical effects. Revised and updated information on emerging technology illustrates to you how an increasingly digital, connected, and networked environment affects our ability to manage public and nonprofit organizations. New cases, examples, self-assessments, and exercises cover recent developments in research and practice to offer relevant ways for you to practice and improve your management skills.